Gambling consultant Joe Brennan, Jr. was instrumental in getting New Jersey to file a suit alleging a federal ban on sports betting to be unconstitutional. Brennan, Jr. worked closely with former State Sen. Raymond Lesniak, a Democrat representing portions of Union County, who filed the suit back in 2009. Then New Jersey Republican Governor Chris Christie offered his support. The professional sports leagues fought tooth and nail against it. 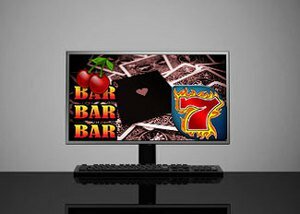 Though it took nearly ten years, the U.S. Supreme Court last month ruled in favor of a state’s right to offer legalized sports wagering. It seems the leagues still have one more trick up their sleeves. The Center for Public Integrity seems to support Brennan, Jr’s notion. After fighting an all-out war for years against sports betting, the leagues are now trying to jockey for a piece of the action. Major League Baseball and the National Basketball Association, in particular, have quietly been working behind the scenes for months as they braced for a pivotal decision from the Supreme Court, teaming up on a multistate lobbying blitz to have a say in how sports betting should be legalized. MLB and the NBA have been pressing for "integrity fees" of up to 1 percent of all bets placed on games — purportedly for policing against game-fixing — and drafted what’s known as model legislation to help get the fees codified into law in each state. To make their case, they have been bankrolling more than 80 lobbyists in more than a dozen statehouses and dispatching top officials across the country — from Kansas to New York — to testify in legislative hearings. The New Jersey Governor has 45 days in which to sign or veto the bill. The FIFA World Cup, which is expected to be the most wagered on event of the year worldwide, begins next week.